Marco Silva spoke to the media on Friday afternoon ahead of Everton's weekend encounter with Chelsea. - The need for Everton to play with intensity to get the better of Chelsea. 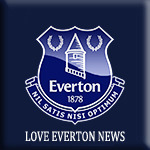 - The key role Evertonians can play in Sunday's match. - Goalkeeper Jordan Pickford continuing to learn and grow as a footballer. - A decision to make at centre-half with Kurt Zouma ineligible to face his parent club. - The potential of Yerry Mina to become a 'really important' player for Everton. This could go either way. A lot will depend on the attitude of both teams. If we turn up we could get a positive result. Yerry Mina and Seamus Coleman return to Everton's team to face Chelsea on Sunday as manager Marco Silva makes two changes from the side which played at Newcastle United last week. Centre-half Mina comes in for Kurt Zouma, ineligible for the meeting with his parent club, while Coleman has overcome the sickness bug which forced him out at St James' Park and captains the team from right-back. 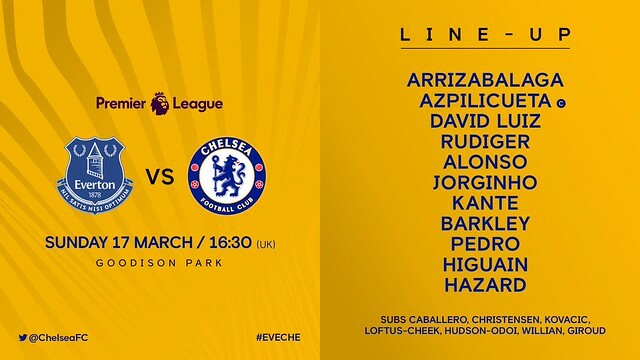 Lucas Digne continues at left-back, with Colombian Mina paired up with Michael Keane in the middle of defence. Dominic Calvert-Lewin, with two goals in his past three Premier League games, continues up front. Brazilian duo Bernard and Richarlison are deployed on the flanks, with Gylfi Sigurdsson operating behind striker Calvert-Lewin. Andre Gomes and Idrissa Gana Gueye will combine in midfield and goalkeeper Jordan Pickford starts his 69th successive Premier League match for Everton. 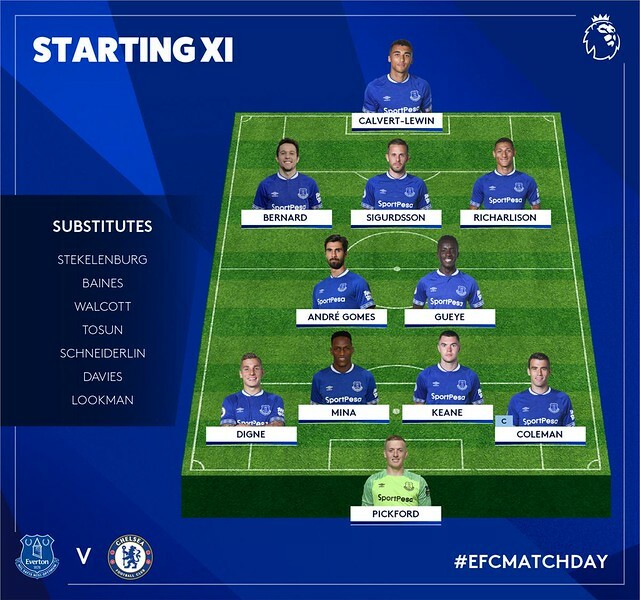 Ademola Lookman, Cenk Tosun and Theo Walcott all start on the bench, with Silva's complement of substitutes completed by Tom Davies, Morgan Schneiderlin, Leighton Baines and goalkeeper Maarten Stekelenburg.